Prince Félix Léopold Marie Guillaume of Luxembourg was born on 3 June 1984 to Hereditary Grand Duke Henri and his Cuban-born wife Hereditary Grand Duchess Maria Teresa at the Grand Duchess Charlotte Maternity Hospital in Luxembourg City. He is the couple's second child, younger brother to Prince Guillaume (1981) and older brother to Prince Louis (1986), Princess Alexandra (1991) and Prince Sébastien (1992). 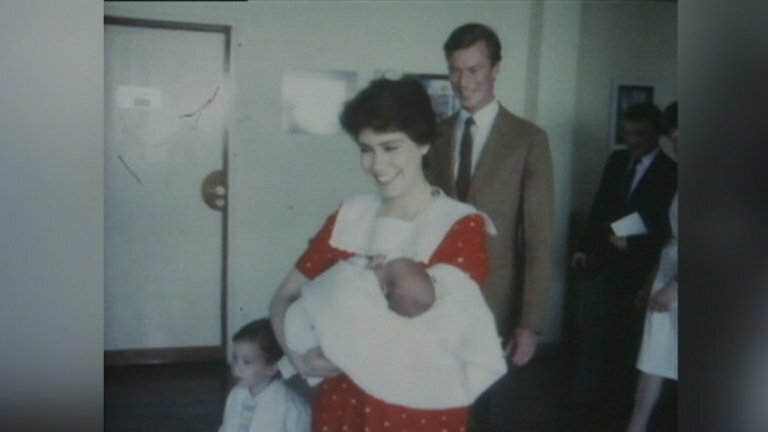 Grand Duchess Maria Teresa leaving the hospital with her newborn son Prince Félix, accompanied by her proud husband Grand Duke Henri and her son Prince Guillaume. 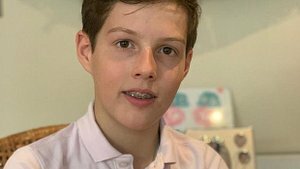 Prince Félix, who is currently second in line to the throne, is named after his great-grandfather Félix de Bourbon-Parme, husband of the late Grand Duchess Charlotte of Luxembourg. Being a member of the Order of the Lion d'Or of Nassau makes him not only a Prince, but also a knight. His godparents are Prince Jean, Grand Duke Henri's younger brother, and Catalina Mestre, Grand Duchess Maria Teresa's only sister. 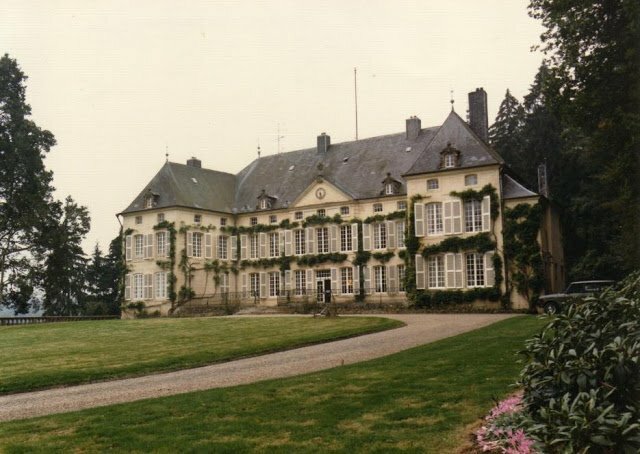 Prince Félix and his four siblings grew up at Fischbach Castle in central Luxembourg and went to primary school in the nearby town of Lorentzweiler. For his secondary education, Prince Félix attended the École Privée Notre-Dame (Sainte-Sophie) de Luxembourg in Luxembourg City as well as the American School of Luxembourg in the Grand Duchy's capital. He graduated from the Swiss boarding school Collège Alpin International Beau Soleil in Villars-sur-Ollon in 2003 and obtained his secondary school qualification with distinction. Fischbach Castle in the 1980s. 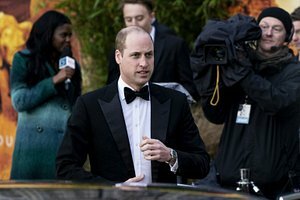 As per family tradition, Prince Félix enrolled at the Royal Military Academy Sandhurst in the UK in 1998, but failed to graduate due to a serious knee injury which forced him to leave the programme early. With his military career on the back burner, Prince Félix worked as a trainee for various private companies in order to gain some professional experience. 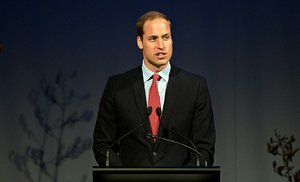 In 2005, the young Prince joined the marketing and public relations department at the Swiss company Grand Chelem Management SA where he helped organise various cultural and sports events. Prince Félix' interests include philosophy and science, which lead him to pursue a bachelor's degree in bioethics at the Pontifical Athenaeum Regina Apostolorum in Rome, Italy. He obtained his master's degree in 2013. Before enrolling at the Italian university, he attended courses in political science, communication sciences and psychology at several universities, including the Vesalius College in Brussels and the Boston College in the US. Prince Félix is fluent in Luxembourgish, English, French and German, but also speaks some Spanish and Italian. Prince Félix and German-born Claire Lademacher met in 2001 at the Collège Alpin International Beau Soleil boarding school in Villars-sur-Ollon, Switzerland. The pair went on to study bioethics together at the Pontifical Athenaeum Regina Apostolorum in Rome. More than ten years after their first meeting, the couple announced their engagement on 13 December 2012. The couple wed in a civil ceremony on 17 September 2013 close to Claire Lademacher's home town in Königstein im Taunus, Germany. A religious ceremony followed four days later at the in the Basilica of Sainte Marie-Madeleine in Saint-Maximin-la-Sainte-Baume, France. 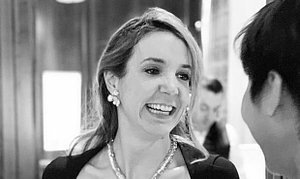 Since her wedding to the Prince of Luxembourg, second in line to the throne, Claire Lademacher has taken on the official title of HRH Princess Claire of Luxembourg, Princess of Nassau. 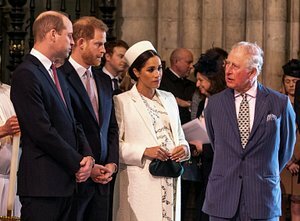 After their wedding, the happy couple settled down in the Provence region in the south of France, where Princess Claire's father owns a vineyard which the princely pair now run. The couple are actively involved in the daily business at the Château Les Crostes winery in Lorgues. Soon after settling down at the picturesque Château Les Crostes estate, Prince Félix and his new bride started a family. On 15 June 2014, Princess Claire gave birth to a healthy baby girl at the Grand Duchess Charlotte maternity ward in Luxembourg City. 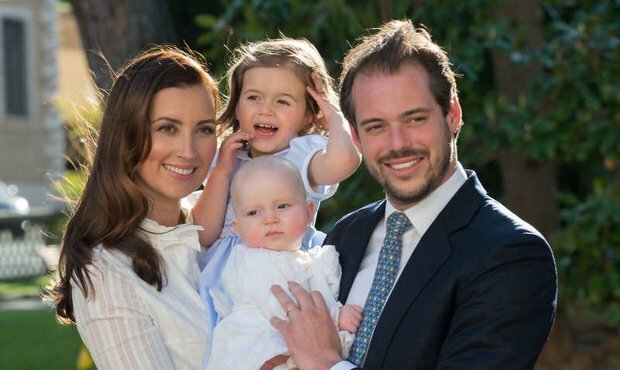 Princess Amalia Gabriela Maria Teresa is named after her two grandmothers: Princess Claire's mother Gabriele and Prince Félix' mother Grand Duchess Maria Teresa. Two years later, the couple welcomed their second child on 28 November 2016. 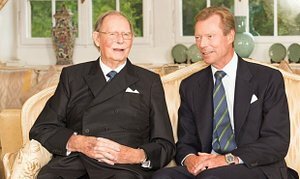 Prince Liam Henri Hartmut was born in Geneva and bears the names of his two grandfathers: Grand Duke Henri and Princess Claire's father Hartmut Lademacher. Prince Liam was baptised in the Vatican and his uncle Hereditary Grand Duke Guillaume even showed off his guitar skills during the service. As a member of the Grand Ducal family, Prince Félix regularly takes part in official functions and travels to Luxembourg to be there for important national occasions such as Luxembourg's National Day or the traditional Octave. In this tweet from the Grand Ducal Court's official Twitter account, Prince Félix and his wife Princess Claire can be seen attending the Red Cross Baazar in Luxembourg City on 18 November. As an avid sports lover, Prince Félix is a patron of several sports associations. He has been a patron of the parachute club Cercle Para Luxembourg since 2003. Not one to miss out on all the action, Prince Félix tried his own hand at skydiving in 2011. 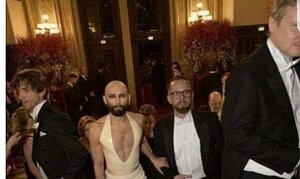 He has also been a patron of the Luxembourg Basketball federation since 2005, but has yet to perform a slam dunk in front of a live audience. 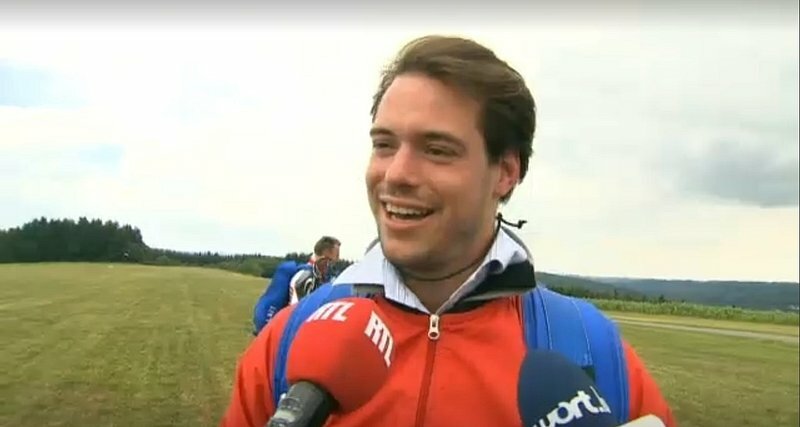 Still feeling the adrenaline rush, Prince Félix was interviewed by RTL and Luxemburger Wort just minutes after he was safely back on solid ground. Prince Félix was has been a keen sportsman from a young age. In school, the young Prince was voted "best athlete" at his school five years in a row. To this day, he regularly plays tennis, golf and polo and enjoys winter sports just as much as water sports. As a professional vintner, Prince Félix has been a chairman of the Lorgues Terre de Vins association since 2016. The association was founded by a group of winegrowers in Lorgues, France, to promote their municipality as a region of interest in the Provence region.